Synergy Business Consulting in association with its Partners / Collaborations is proud to offer to its valued Chinese entrepreneurs and existing Chinese companies all business services under one roof. To advise Chinese companies in business development- i.e. acquiring particular projects within Pakistan, creating Joint Ventures with renowned Pakistani Companies. To assist Chinese businesses and state owned companies during establishment of place of business in Pakistan. To provide Human Resource and Pay Roll Services (HR and Pay Roll Services) to Chinese companies in Pakistan under CPEC. To assist Chinese businesses and companies in securing their intellectual property rights (IPR) including Trademarks, Copyrights, patents in Pakistan. To advise Chinese companies regarding government policies and any expected or new changes in rules and regulations. 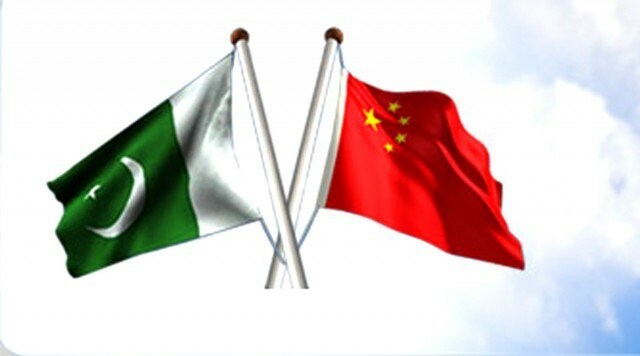 To manage government relations for Chinese companies wishing to or operating in Pakistan. To provide briefings and conduct studies on the domestic and foreign policy situation of Pakistan including politics, economy, energy, law and security, so that the Chinese companies can better understand the complex and often fast changing situation within Pakistan. Click Here to read a detailed comparison regarding which type of legal entity suits best to your Chinese company. Renting fully furnished office, meeting rooms, Conference rooms, shared office, virtual office. We have fully furnished business compounds having multiple executive offices, workstations, photocopiers and support staff. Buying or getting on lease land for factory, plant, office, hotel, accommodation. Hiring work force in Pakistan: Availability, Cost, Legal requirements, tax matters and cultural issues related to hiring and managing Pakistani office workers, engineers and laborers. Provide consultancy for the best feasible business options, selecting best business location, culture, traditions, accommodation, food, security, transport, warehouse, storage, according to the expertise and resources available to each client; considering the required legal framework and the market conditions. Convert dream into a reality by translating the specific business needs of our valued clients into a comprehensive business plan or feasibility report. Corporate Restructuring, Advisory on Mergers, Acquisitions. Conduct research and surveys on behalf of upcoming and growing NGOs/NPOs. Conduct industry surveys and research analysis for customized business needs of our clients. Content writing (SOPs, policies, manuals, internal Procedures) for organizations, their websites and any other purpose. Provide consultancy for various investment options available in capital market, money market, fixed income securities, government securities and/or in mutual funds according to the Chinese clients’ specific cash-flow requirements and risk appetite. We offer following audit and control services to Chinese companies working in Pakistan. Audit and preparation of financial statements for bank borrowing purposes. Income/ Sales Tax matters including e-filing. Development of internal control system for effective management. SBC offer following tax management services to Chinese companies working in Pakistan. Applying for and obtaining National Tax Number (NTN) Certificate. Preparation and filing of Annual Income Tax Returns, Wealth Tax Statements and Annexures. Preparation and filing of periodic Withholding Tax Statements (WHT). Appeal filing and Adjudication at various forums under Income Tax Ordinance, 2001. Applying for and obtaining General Sales Tax (GST) registration. Advices and pursuing in claim for adjustment of input and output taxes, following up GST exemption(s) and GST audit. Representation on behalf of the clients before GST assessment authorities and appellate authorities on contentious GST issues and dispute resolution. Correspondence with the Federal Board of Revenue (FBR) for removing fiscal anomalies and obtaining Ruling on GST related issues. Reviews of existing systems and monitoring to highlight possible areas of exposure to sales tax assessments and associated penalties. Appeal filing and Adjudication at various forums under Sales Tax Act 1990. All type of payroll and monthly tax deduction and withholding tax statements filing services for chinese companies. Website updating and webmaster services. Tailor-made IT solutions, Software, SEOs and other related activities. To read more regarding CPEC projects in Pakistan CLICK HERE. Please feel free to Contact us at info@sbconsulting.com.pk and abdul.hannan@sbconsulting.com.pk or call us at 0092 51 2229005 and 0092 321 504 32 62 for initial free and non obligatory advise.